Rare Opportunity to buy a 4+ Bedroom 2 Story in Highly Desired, Well Established Hyland Greens Community! Well Maintained, Partially Remodeled, Shows even better in person! 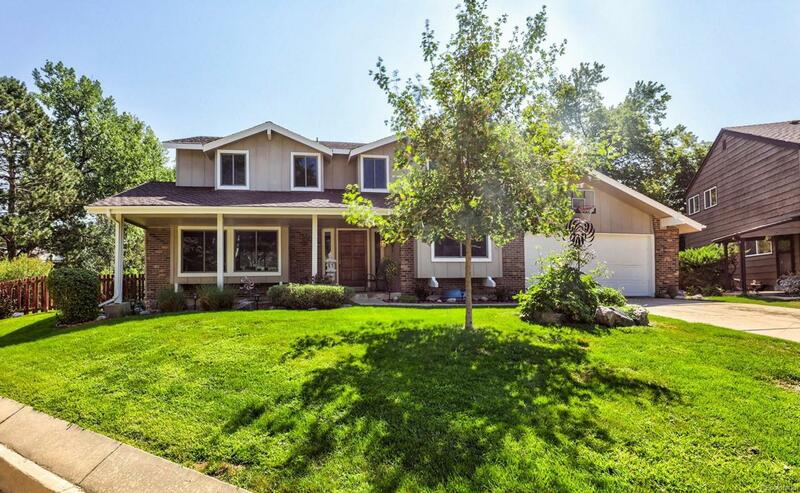 Gorgeous home sits on 11,050 sq ft lot in a cul-de-sac, backs to greenbelt. Walls of windows include long windows seat! Feel the calm serenity of the warm paint colors. The kitchen extends to a sizable eating space, den and and covered patio. Master Bedroom is set apart and very private. Office or main floor bedroom with bay window looking out on neighborhood. Get lost in nature in your yard, fertile with fruit trees and large garden area. Move in just in time to reap the harvest! Easy access to Shopping, Entertainment, Highways and a Hyland Hills Golf Course. Community Pool and Parks. Solar Panels allow for $100 average energy bill. Front and Back Sprinklers. Partially finished basement with 3/4 Bath. HVAC 2 years old, New 50 Gal Hot Water Heater, Open Front Entrance! You will love living here!!! Offered by Mb Maestas & Assoc.